People of all ages can have fun and improve their health through dance. Dancing is more than just a fun way to get into your favourite song, it also has important health perks that can provide you with long-term benefits. 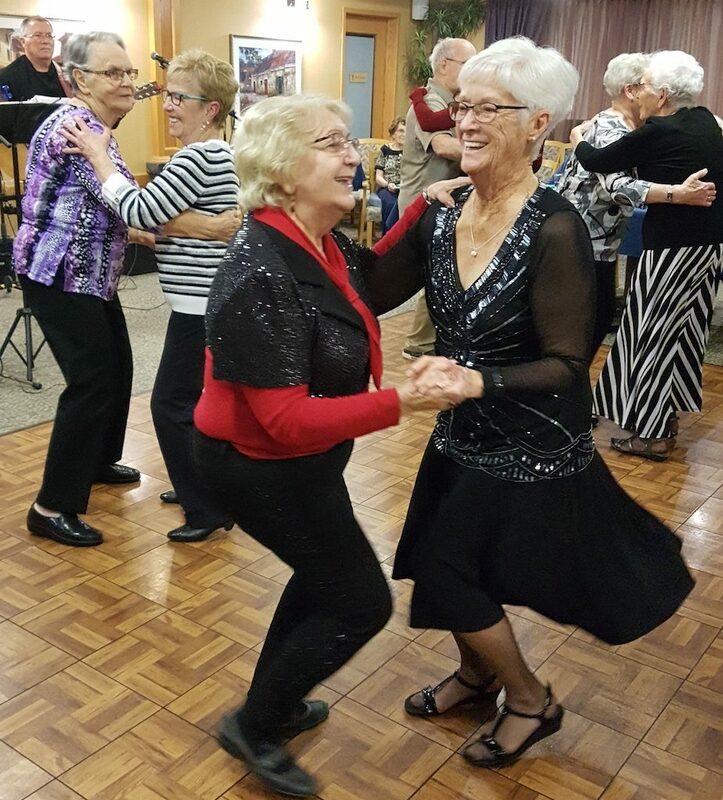 As part of providing active senior lifestyles at our retirement residences, All Seniors Care Living Centres make dance classes and exercise a regular event. In addition to activities like yoga, walking, and pool exercises, dance classes keep you moving and keep you healthy. Dance is a big part of our retirement residences. If you haven’t seen it, check out our viral video of residents at Preston Park II in Saskatchewan learning how to floss. It was a great moment captured on video, but that’s the kind of fun we love to have at our retirement residences. Dancing provides many benefits for senior health. It’s an excellent cardio workout, it can reduce dementia risks, it’s fun, and it has a low impact on your joints. Dancing is a cardio workout. Dancing can also improve balance, something all seniors should look for in their workout so that they can reduce their risk of falling. Dancing can reduce dementia risk. There’s more to dancing than the physical work out; as it turns out, dancing is also an important mental exercise that can reduce your risk of developing dementia. Learning a dance routine and coordinating your movements helps keep your brain sharp. That’s been associated with a 76 percent reduction in dementia risk according to the New England Journal of Medicine. Dance is a low impact workout. Seniors who want to live an active life can struggle to find low impact workouts that are gentle on their body. Since dancing is not as repetitive as other types of workouts, you can avoid the wear and tear that comes with something like cardio-aerobic classes. For more information on staying active with low impact workouts like walking and dancing, read our advice on senior living on our blog. Dancing is a lot of fun. Most importantly, dance is a fun and social activity. One of the best ways to start an exercise routine and stick with it is to find something you enjoy. The monotony of running on a treadmill or other exercises is one of the leading reasons people quit, but dancing doesn’t feel like exercise. Dancing triggers serotonin and endorphins – the chemicals responsible for feeling happy. That’s what makes dancing such a great way to de-stress. Dance classes are a regular feature of life at our retirement residences. When you learn about our senior homes, ask about flamenco performances and classes, sit and chair dance classes, and more. Physical activity is an essential part of senior health. There’s no better way to get active and have fun than dancing. Do you wish to receive event invitation and other information about our services?